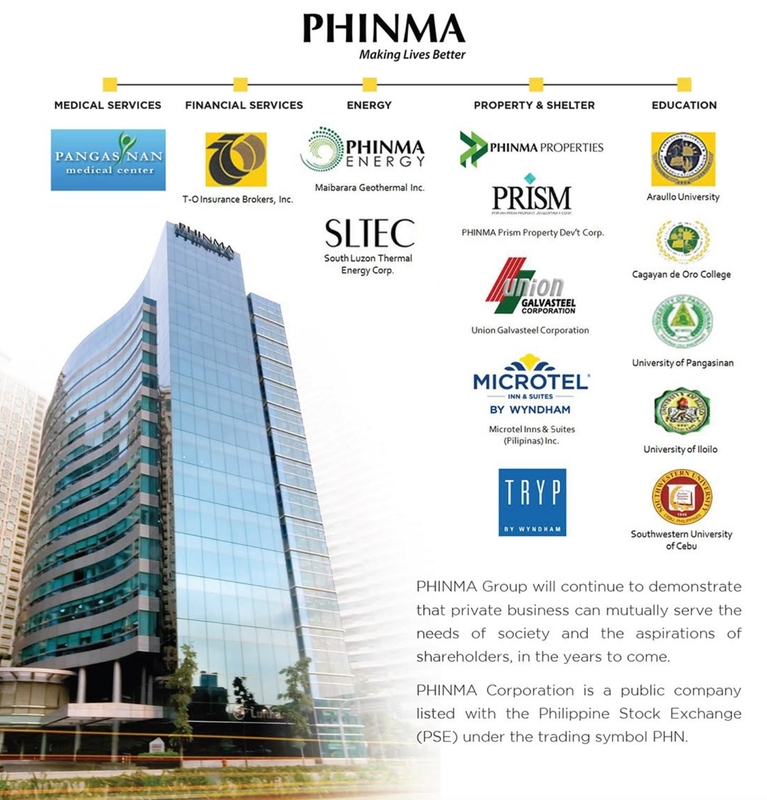 PHINMA Property Holdings Corporation (PHINMA Properties), as the property development arm of leading Philippine business conglomerate PHINMA Corp., was born out of the PHINMA Group’s mission to help build our nation by providing every Filipino with an improved access to a better life through housing. Since its inception almost three decades ago, PHINMA Properties has been known for developing several popular, upscale townhouse projects, such as the Manila Polo Club Townhouses, Mariposa Villas, and Mariposa Square Townhouses. By the early 1990s, PHINMA Properties strategically focused on affordable housing projects, building 500 housing units in the Laguna and Cavite areas. The company shifted from “horizontal” suburban development to “vertical” urban housing. This led to the company’s adoption of Medium Rise Buildings (MRB) as the basis for its subsequent projects. Since then, PHINMA Properties has been specializing in the development of easy-to-own medium-rise residential condominiums throughout Metro Manila. PHINMA Properties has also pioneered the advanced construction method called box frame construction. Major walls are made of reinforced concrete resulting in a more rigid and stable structure. Developments are then completed at a faster rate, resulting in lower costs and lesser carbon footprint. PHINMA Properties continued building quality medium-rise residences for the middle-income population. During the early 2000’s, the company developed several communities in Quezon City – the Sunny Villas, Spazio Bernardo, the Spazio Bernardo West Villas, San Benissa Garden Villas, Sofia Bellevue, and Flora Vista. PHINMA Properties later developed Fountain Breeze in Sucat, Paranaque, its first condominium outside Quezon City. All projects were sold out in less than a year and completed in a short period of time. PHINMA Properties has also been active in constructing Socialized Housing Projects such as BISTEKVILLE II. Completed in December 2014, BISTEKVILLE II is a socialized housing development framed by an inclusive business model and intended for an ISF community in Bgy. Kaligayahan, Quezon City. The success of this project made it possible for the company to be inducted in the United Nations Business Call to Action Forum in New York in September 2014. At present, the company has developed socialized housing projects in Malabon, Bulacan, and Cavite. The company was also favorably cited by Vice President Leonor Robredo as one of the pioneering private entities that help the government in reducing housing backlog. The company has taken steps to promote green technology in socialized housing with the introduction of sustainable solar-powered units in its Grand Strikeville 4 project in Bacoor, Cavite. 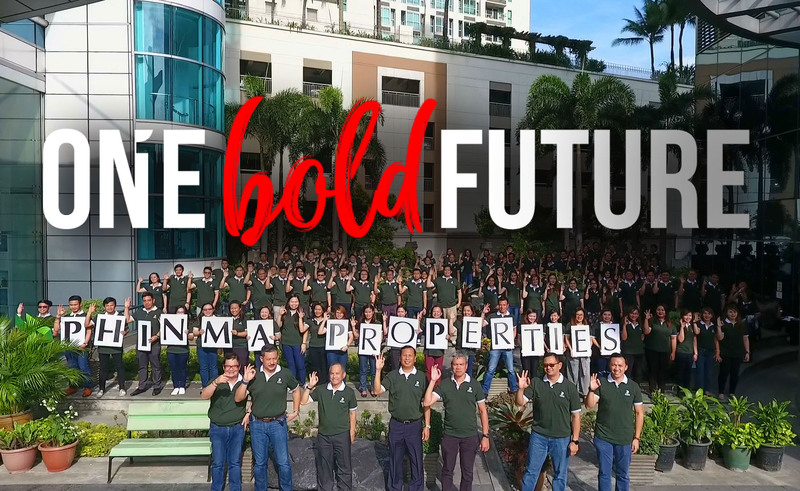 As the nation moves forward, PHINMA Properties will remain a partner for progress and development, enriching the Filipino Family by helping them Make Room to Build their Future. At PHINMA Properties, we live to inspire. We build quality homes and developed communities so that everyone has a chance to make space for a future that’s worth living. PHINMA PROPERTIES is committed to help Filipino families build the home they deserve. Inspired, well-built, conveniently located, and proudly competitively-priced, a PHINMA Properties home stands as the perfect place to start living today and create bigger dreams for tomorrow. With PHINMA Properties as the Filipino family’s life partner, the future looks a whole lot brighter. Philippine Investment Management (PHINMA) began as an investment firm in 1956, and now has grown to become one of the most prestigious and reputable conglomerates in the country: the PHINMA Group of Companies. The PHINMA Group seeks to make life better for each Filipino through our tradition of professional and effective management in various industries. Our current roster includes companies in the education, energy, financial services, hospitality, real estate, steel and strategic consultancy sectors. Our competitiveness and professionalism helps give communities, both in and out of the Philippines, improved access to the essentials of a dignified life. PHINMA Properties commits itself to making lives better for its customers and employees. We will provide quality homes within the means of our customers and build communities that cultivate the bayanihan sprit thereby, promoting the well-being of our residents. We will provide opportunities that enhance the personal and professional growth of our employees. PHINMA Properties shall be the preferred developer for the first time Filipino homebuyer who seeks to live in a nurturing community. Families dream of a better future. And it starts from owning a place that they could call home. At PHINMA Properties, we share that dream. We deliver developments where community building thrives because it is secure and stable. For our employees, we are committed to give better opportunities for personal and professional development. We make this possible by creating a caring atmosphere in the workplace. At PHINMA Properties, we’re making room to build your future. Mr. Julian V. Concepcion Jr.
Mr. Rogelio M. Garcia Jr.
Mr. Cris M. Iglesias Jr.